Once Pope Francis accepts Archbishop Anthony Mancini's resignation, Bishop Dunn will become the new archbishop as his new designation gives him the right of succession. 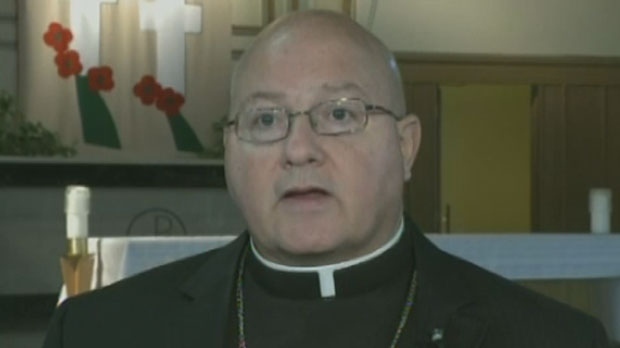 HALIFAX -- Pope Francis has appointed a coadjutor archbishop for the Archdiocese of Halifax-Yarmouth. Mancini made a request for a coadjutor bishop in December to help with a major restructuring of the archdiocese -- which Dunn now says he's looking forward to being a part of. "I am looking forward to being involved in this renewal and restructuring of the Archdiocese of Halifax-Yarmouth," Dunn said in a news release. "At the same time I know that I will have to leave many of the people with whom I have shared life and ministry in the Diocese of Antigonish since January of 2010. Priests, deacons and lay people have been a tremendous support to me over these years and I am deeply grateful for this support." Dunn is to assume his position of coadjutor archbishop "in the near future," when his papal letter of appointment is received and presented to the College of Consultors of the Archdiocese of Halifax-Yarmouth.